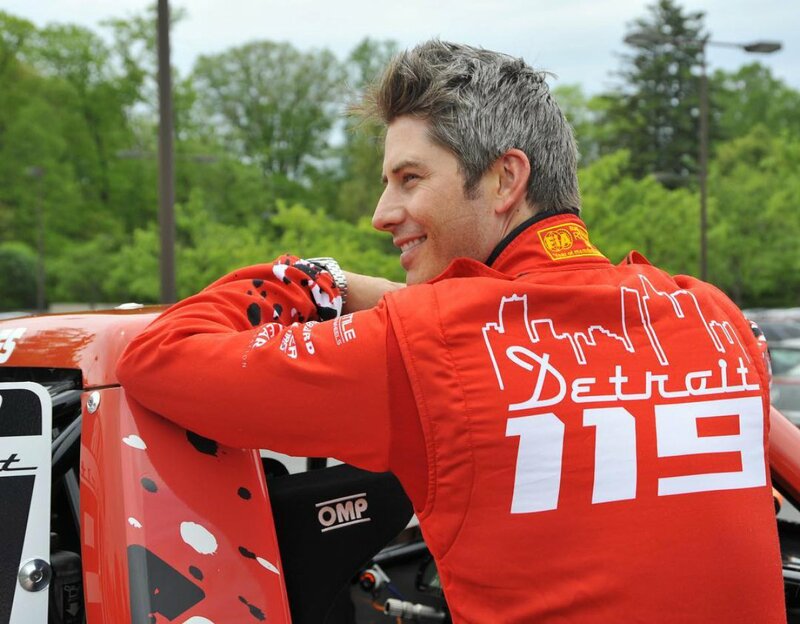 ABC announced Arie will star on The Bachelor next season during Thursday's broadcast of Good Morning America, on which the professional auto racing driver turned real estate agent from Emily Maynard's season of The Bachelorette made a live appearance. "It's been a little surreal," Arie, 35, said on GMA of producers' decision to cast him on the show's 2018 edition. "I was a little skeptical just because we had been in talks for a few years about doing it... It just kind of hit me right now that I'm here." Arie competed for Emily on The Bachelorette's eighth season in 2012 and finished as the runner-up behind winner Jef Holm. Emily, at the time, thought Arie was incredibly "hot" and noted that he has "a heart of gold." Arie revealed that he had received the invitation to become the Bachelor when he was at home in Scottsdale, AZ, and the process so far has been a bit of a whirlwind for him. "It was pretty recent," Arie said of the moment producers approached him about the big opportunity. "We had kept in touch over the last few years, but this just fit perfect. The timing really fit for me." Because Arie seemed to take on the role last minute and talks had fallen through in the past, he hesitated to share the news with friends and family until ABC was ready to make its official announcement. "I really kept this under wraps because I didn't know how things would turn out. It's really been a quick turn of events, and my family doesn't know, so now they know! They know right along with you guys," Arie admitted. Arie previously said he was set to star on Season 19 of The Bachelor; however, Chris Soules unexpectedly landed the gig after getting his heart broken by Andi Dorfman and winning America's heart as the down-to-earth farmer from Iowa. Arie disclosed to Us Weekly around this same time last year that he had signed contracts, showed up for suit fittings and even booked a flight to Los Angeles to begin filming before the rug was pulled out from beneath him. But Arie -- who also later ended up dating The Bachelor Season 16 winner Courtney Robertson -- chose to enter negotiations with ABC and producers again this year all the while maintaining "an open mind and open heart." Now that Arie is definitely the next The Bachelor star, he said on GMA that he's looking for a woman who is "independent, and strong but then still gentle," adding that he wants "a little mix" of qualities. "I'll be 36 in a few weeks so for me it's time," Arie said of finding love on the show. "All my friends around me, you know, have kids and have grown up, so for me, I feel like I'm the last one of my friends to really take that step. And now my little brother got married. He's 24." Arie earned the nickname the "kissing bandit" on Emily's The Bachelorette season, but he insisted he'll only live up to that name if he finds "the right woman." "Obviously there's got to be that chemistry there," Arie explained. "Emily and I had it previously and I'm hoping to find that type of love, for sure." Arie also revealed on GMA that his skills on the racetrack will help him be decisive and make quick choices throughout The Bachelor's speed-dating process. But until then, the handsome reality TV star is going to be reaching out to former The Bachelor star Sean Lowe for advice. The pair became friends on The Bachelorette and Sean is currently happily married to Catherine Giudice, the woman he selected during the Season 17 finale.